Monika contacted me about a website makeover. I felt that she had amazing content, but it wasn’t being showcased in her outdated site. 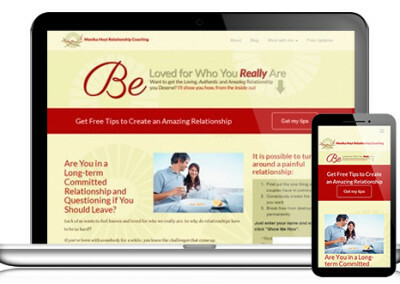 She wanted her site to feel updated and refreshed without losing her gentle look and feel. Created a homepage opt-in feature box which told people what her site was about, who it was for and what they could do here. Streamlined and Updated her plugins and fonts for a faster, more efficient site. The result? An easy to navigate site which will make her email list grow and grow.